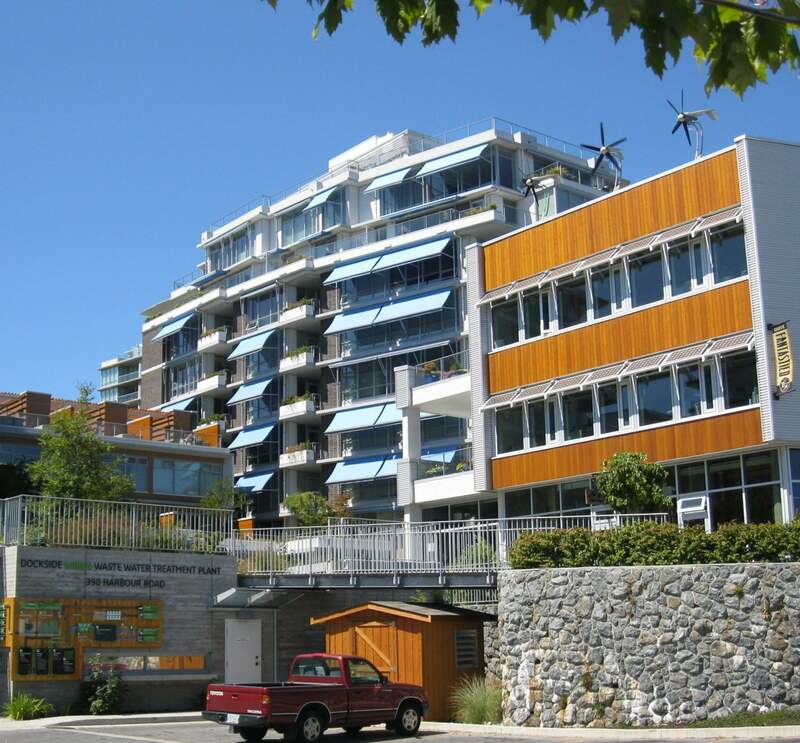 Victoria West: Dockside Green Staging a Comeback? Dockside Green is one of the most coveted areas in Victoria, and people from all over the city and even from out of town know it and want to be a part of it. Started in 2006, this community had grand plans for itself, including housing and commercial portions. However, it stalled out in 2009 after the last building was completed, largely considered to be due to the 2008 financial collapse. However, Citified Victoria has announced some interesting information this week: there may be some rejuvenated activity in Dockside Green. The local housing website reports that Bosa Developments has won a bid to purchase the remaining portion of the 15-acre mixed-used parcel of land. VanCity reportedly reached out to several notable developers who would be capable of handling such a large, mixed project. Bosa Developments is the company who acquired the Fairmont Empress and began its massive restoration, so they are no strangers to large-scale projects. Ranging over the western US and Canada, Bosa Developments is currently working in San Diego, Bellevue, and Calgary. Future plans for this chunk of land include additional housing units in towers maxing out at 20 storeys, plus additional retail and commercial spaces. The vacant property has long been a question mark for the city and the Vic West community, but maybe we’re starting to move forward again. Situated on Tyee Road between Esquimalt and Harbour, this central location is something many buyers will be interested in researching. With building on Merridale’s new distillery and a three-storey office building slated to begin next year, Dockside Green is beginning its renaissance and hopefully find its way to completion. We look forward to seeing what comes together for this fantastic area, and we hope we get some firm details on the upcoming housing development. What are your thoughts on the revitalization of the Dockside Green development? Comment on our Facebook page or leave a comment on our website.